A Riot tribunal has ruled that Team Dignitas’ IWillDominate will be permanently banned from League of Legends. The developer noted that IWillDominate – real name Christian Rivera – had a “persistent record of in-game harassment, verbal abuse, offensive language and negative attitude” that placed him within the 0.7% worst players in North America and made him the most toxic pro player in the country. In addition to the account ban, IWillDominate will be forbidden from participating in the League of Legends Championship Series for the next year, effective immediately. 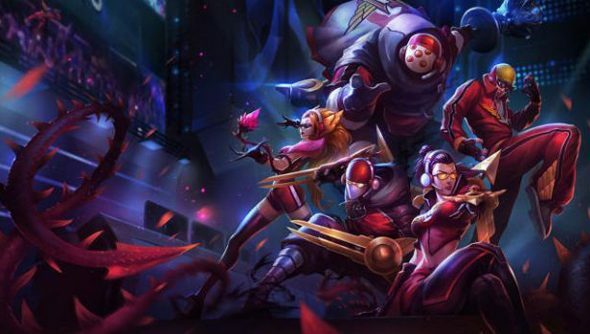 “We take sportsmanship and player behavior very seriously, and we fundamentally believe that pro players should not be exempt from scrutiny over their behavior,” said Riot VP of eSports Dustin Beck in a post on the official LoL forums. “In fact, we believe pros have an additional opportunity to act as positive role models for the entire community. The tribunal is the ninth IWillDominate has been brought before, and the eighth time he has received official punishment. Despite these punishments, say Riot, his harassment score has risen by 30% since early August. Rivera has also perpetrated numerous incidents of “similar behaviour” outside the game. Rivera’s behaviour violated the “letter and spirit” of the Summoner’s Code in a “systemic fashion”, ruled the tribunal. “His persistent tendency to engage in verbal abuse and insults, his lack of cordial demeanor, and his treatment of less-skilled players is unacceptable for any player, especially a high-profile professional player who has a regular opportunity to lead the community by example,” said senior eSports manager Jason Katz. As such, all of the Dignitas player’s known accounts will be permanently banned. “We fully understand that there are other pro players who behave poorly from time to time, and we do not condone any unsportsmanlike behavior,” continued Beck. “It’s important to note how severe and consistent the behavior of this particular individual was, as is outlined in the ruling. No other professional players in NA approach this individual’s harassment score – that said, we monitor all pro player behavior actively and we will continue to make that clear to all pro teams, and will take necessary action should any other players demonstrate unacceptable behavior in the future.